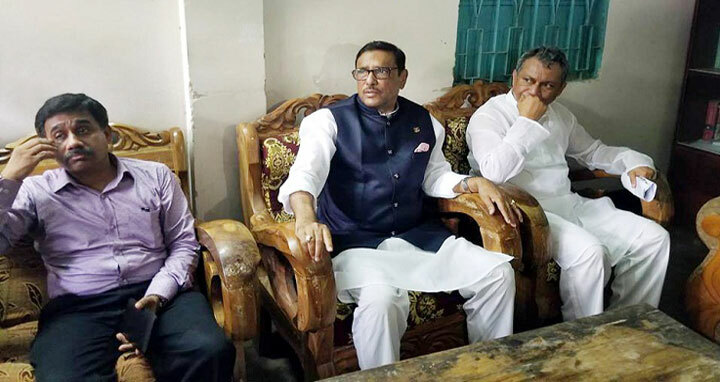 Dhaka, 7 April, Abnews: Ruling Awami League General Secretary and Road Transport and Bridges Minister Obaidul Quader said that the government will take necessary steps for the treatment of BNP Chairperson Begum Khaleda Zia as per the jail code and as per the advice of the medical board. Quader disclosed this after attending the ‘chehlam’ of his mother late Begum Fazilatunnessa in Noakhali. Local lawmakers Ekramul Karim Chowdhury, Morshed Alam and Abdullha Al Mamun, Awami League district unit President Khairul Anam Selim, Noakhali Pourosava Mayor Shahid Ullha Khan Sohel and AL city unit President Abdul Wadud Pintu, among others, were present in the function. Quader said if the doctors suggest to send Begum Zia abroad for treatment, then the government will do it. Regarding the next general elections, The AL general secretary said the next polls will be held as per constitution. The constitution will show the path how the polls will be held, he added.